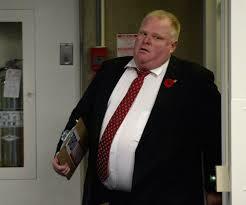 Rob Ford, Ready Or Not Here I Come! Okay, I can’t stand around and watch or read about people making easy money selling photos of Toronto’s Mayor Rob Ford doing drugs when I know I could be making easy money doing it too. It’s so easy, it’s like taking candy from a kid. So I am in! I am packing my camera with telephoto lens and all and heading to Toronto to make me some cash. All I need to do is ask Mr. Ford to come to my place and give him some crack cocaine or marijuana then film him as he indulges. Easy as pie. The man doesn’t know how to be secretive. He doesn’t get it. But I do, and I will exploit it. Just like his double-dealing drug dealer did when he sold 3 photos of Rob using his product for $10, 000. See? If a dumb dealer could do it a smartish blogger could too. That’s me by the way. Wish me luck guys! Big Smoke, here I come! Say cheese, Robby boy. Ah never mind, just keep smoking. Looking good buddy!